In order to create All Blues Gage Green Genetics has mixed Absolute Blueberry with Joseph. 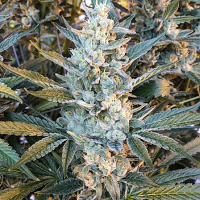 All Blue Regular Marijuana Seeds by Gage Green Group Seeds: In order to create All Blues Gage Green Genetics has mixed Absolute Blueberry with Joseph. The resulting breed is certainly a hash maker’s paradise; her resin is super sticky and packed with flavour. Some of these buds have copious amounts of frost that they ooze resin. Just one lung full will send a tsunami of soothing exotic berries through the body. 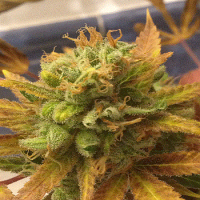 Expect a very well-rounded hybrid with slight Indica dominance. Every phenotype will vary slightly.